A large number of both children and adults are affected by large, protruding or deformed ears which can be a frequent cause of social embarrassment. Ear reshaping surgery offers a perfect solution for this problem. This type of surgery is used to correct different types of ear deformities including protruding ears and birth defects. The surgery requires a careful analysis of individual ears and the goal is always to introduce the changes by maintaining natural looking ears. Any child or adult with deformed ears is a good candidate for ear correction or reshaping surgery. In case of children, it is advisable for the child to have reached 6 years of age before the surgery, as by that age ears achieve almost 90 per cent of the adults’ size. An adult of any age group who enjoys good health and wishes to seek corrective remedy for protruding ears can be a candidate for this surgery. Make sure that you wear comfortable, loose fitting clothing on the day of the surgery. Avoid wearing a shirt or top with restricted collar. A button down shirt that will not be required to be pulled over the head is an ideal choice. In case of children, right choice of clothing is very important to avoid any unwanted impact to the site of treatment. Ear reshaping may include Ear Pinning Surgery or Otoplasty. The procedure can take up to 2 to 4 hours and is performed on an outpatient basis. General or local anesthesia is used depending upon the intensity of the deformity. Typically, the surgeon makes a small incision at the back of the ear to expose the ear cartilage in order to sculpt it. Stitches might be added to support the new shape as the ear heals. At times removal of cartilage may be required to correct the deformity. The scar made at the back of the ear fades with time, so all gets natural in a pretty short duration of time. Most of the patients are up and about within a couple of hours after the surgical procedure. If general anesthesia is used to correct a deformity, the patient may be required to stay overnight in the hospital. In order to promote healing, the head is carefully wrapped in bandage. The ears may ache for a day or two but any discomfort can be effectively eased with the help of medications. The bandages placed after the procedure will be replaced with light dressing. Stitches placed can either be removed or will probably dissolve within a week or so. Restriction of any strenuous activities needs to be followed. Bending, stooping, strenuous sports, or any activity that can cause potential injury to ears should be avoided. 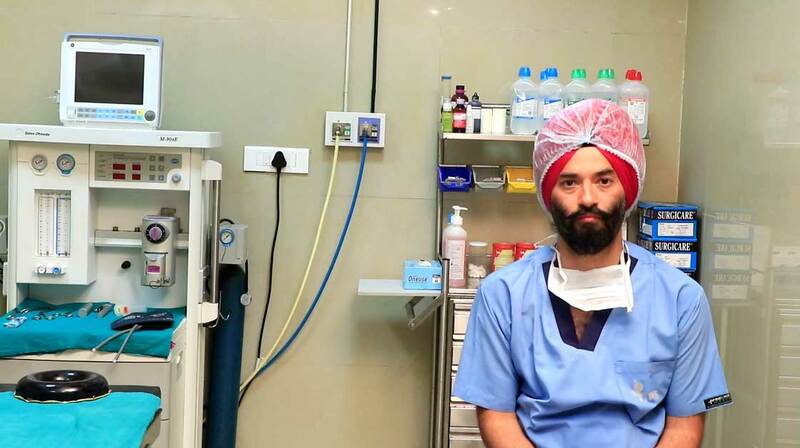 Most of the patients are able to return back to work within 2-3 days. 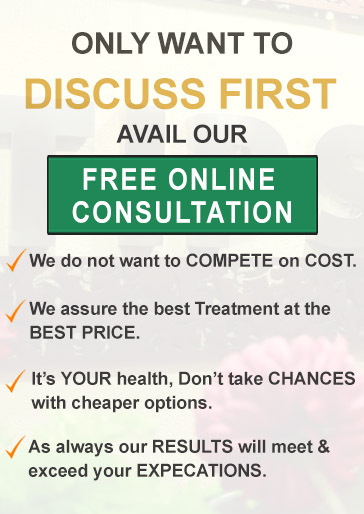 Planning to get Ear Reshaping in Punjab? Are you planning to get surgery for ear reshaping done for a better appearance? If yes, it is imperative to seek a personalized consultation from a competent cosmetic surgeon to find out how this procedure can benefit you. Ear Plastic surgery performed at a premium facility can provide you with excellent results and almost dramatic improvement in your appearance. 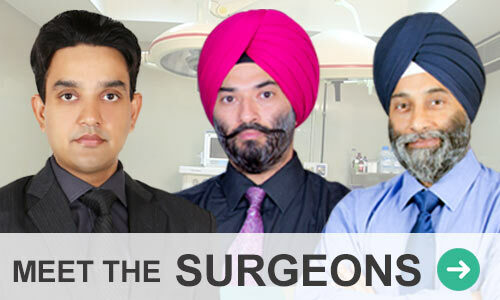 The faculty at Tricity Institute of Plastic Surgery (TIPS) takes pride in dedicated and highly experienced surgeons. If you have decided to get rid of those ear deformities, you should get in touch with TIPS right away. Just fill in the contact form available online to seek a free consultation and we will get in touch with you. Be assured that all communication between you and TIPS will be kept highly confidential.